Getting married should be the start of the best years of a couple's life. Our experts have put together a basket to help make sure you keep a spark going in your romance. 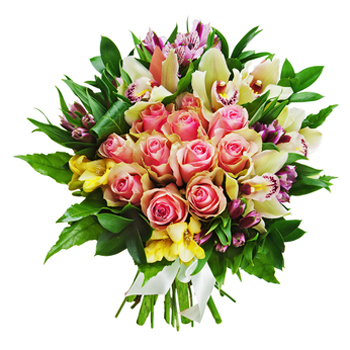 Your recipient will receive lovely pink Roses, yellow and purple Alstroemeria, and a stunning Orchid Branch. Add to your Anniversary, ask for forever, or make them smile with Everything.